Today you will be taking an in-depth tour of RMI. To get to know how RMI “Restore Ministries International” was founded, we thought a bit of history would help you appreciate just what the Lord has done—by using just one woman “for such as time as this” (Esther 4:14)—to see how He could use YOU to do something just as amazing. We hope that not only will you get to know Erin, the founder of RMI, much better, but you will also have an opportunity to get acquainted with RMIs “daughter” ministries, which some of you have already been called to learn how to become a minister to women. To begin let’s begin with the RMI logo that Erin’s oldest son, Dallas, created for her. Did you notice, if turned sideways, that it’s actually the Christian fish or Ichthys, which is today still the symbol of Christianity? It was used when it was too dangerous to let anyone know you were a “follower of Christ” so they would draw this symbol in the dirt to let someone know who they believed was also one of His followers. So Dallas was led to turn the symbol and by inserting the dot, the fish became a woman, Erin, praising the Lord. He also purposely left the fish broken, as a sign of what his mother had gone through, also showing that even in our brokenness we need to lift our hands in praise to Him. 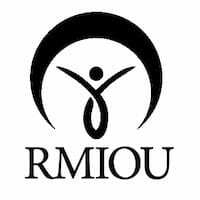 So the RMIEW logo represents 3 women: first woman is Erin (Aaron) on one side, the other end is one of our “hers” (Hur), with the hurting woman in the center, the woman going through her RJ “Restoration Journey.” At RMIEW we are dedicated to helping each hurting woman to hold her hands up in praise in order for her to win her victory. Next, take a quick tour through the different RMI Ministries so that you will be able to guide another woman or man you know or meet who need to experience the Lord. Some women use these two acronyms interchangeably, but there is a difference between RMIEW and RMIOU. First, let me begin by explaining that RMI “Restore Ministries International” is our MAIN ministry. It is what has the nonprofit, tax exempt status, as a church, with the IRS (making donations tax deductible). All the other ministries fall under RMI as sub-ministries. 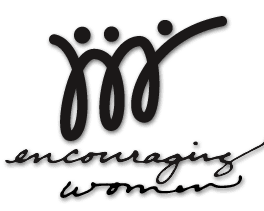 That's why rather than spelling out Encouraging Women or using just EW, the Lord led us to begin using RMIEW so that the “RMI” or the nonprofit ministry would be easy for the IRS and for women who donate to easily see and understand Encouraging Women was a sub-ministry under RMI. So RMIEW is really the overall Encouraging Women ministry. And under RMIEW we have many sub-ministries, which coincide with the order that women are ministered through. Such as MET “Marriage Evaluation Team” where our new hurting women send their Marriage Evaluation Questionnaire to have their marriages evaluated. This is where we will begin tomorrow. 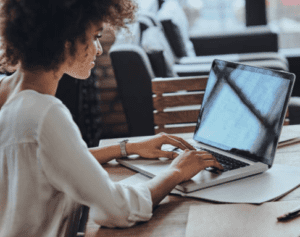 Because not everyone is at the same level when it comes to internet knowledge, and how important this is when you begin ministering online, we have tapped into a Free Learning Programs, which very often are taught by women but are always easy to follow and informative. *If you feel you're being called to minister online, take advantage of these courses that may help you become much more computer savvy. If you're confident that you are more of a face-to-face type of person, feel free to skip these Practical lessons. It's time to fill out your journal documenting What I Learned for this lesson.